The materials on this website are intended for informational purposes only. The materials on this website are not intended to be, nor should they be interpreted as, legal advice or legal opinion. The reader should not consider this information to be an invitation to an attorney/client relationship, should not rely on information presented here for any purpose, and should always seek the legal advice of counsel in the appropriate jurisdiction. Transmission and receipt of the information in this site and/or communication with the firm via e-mail is not intended to solicit or create, and does not create, an attorney/client relationship between Robinson Collins and/or its attorneys and any person or entity. A written legal representation agreement, specific to the individual client, is required before any relationship is formed with Robinson Collins or any of its attorneys. Although attorneys, like other professionals who advise on personal financial matters, are now required by law to inform their clients of their policies regarding privacy of client information, attorneys have always been, and continue to be, bound by professional standards of confidentiality that are even more stringent than those required by this law. We do not take lightly the confidence you place in us. Our commitment is to always protect your right to privacy. In the course of providing our clients with tax planning and preparation services, family law services, and certain real estate services, we receive significant personal financial information about you either from you or with your authorization. 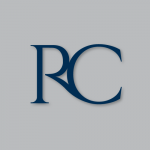 If you are a current or former client of Robinson Collins, you should know that all information that we receive about you is held in extreme confidence, and is not released to any person or entity outside of this law firm, except as agreed upon by you, or as required under applicable law. We can be reached via e-mail at info@robinsoncollins.com or by telephone at 904-483-3857. Cookies are used to automatically record certain non-personal information about your visit to our website such as the time and extent of your use of the site. Information gathered is used for systems administration and to track potential abuse of our terms and conditions of use. Cookies do not contain personal information and are deleted from the user’s computer upon leaving the applicable Robinson Collins website. The limited non-personal information that we do collect helps us to understand traffic flow throughout our website. We may provide summary statistics about traffic patterns, consisting of anonymous aggregate data, to a reputable third party. These statistics do not contain personal information. The Robinson Collins website contains links to other sites. When you leave the Robinson Collins website, Robinson Collins is not responsible for the privacy practices or the content of other websites. The privacy policies of Robinson Collins do not apply to any external links. We encourage you to read the privacy policies of any site you link to from ours, especially if you share any personal information. We are not responsible for the content, business practices, or privacy practices of other websites. The Robinson Collins website uses security measures to protect all data we collect from users and to protect the loss, alteration and misuse of information under our control.